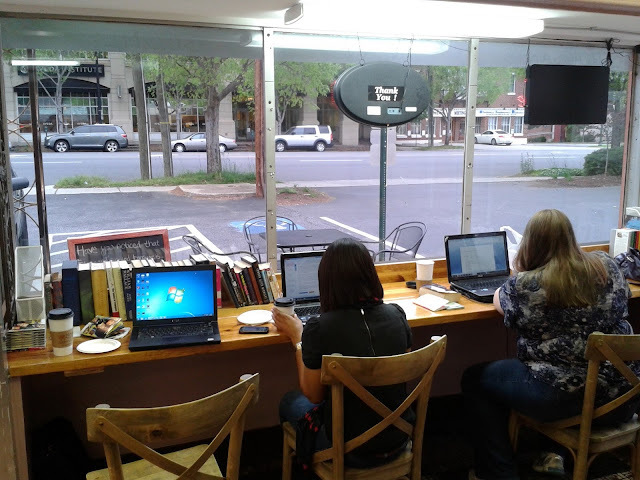 I had a coffee meeting yesterday afternoon with an editor for one of the publications I write for. 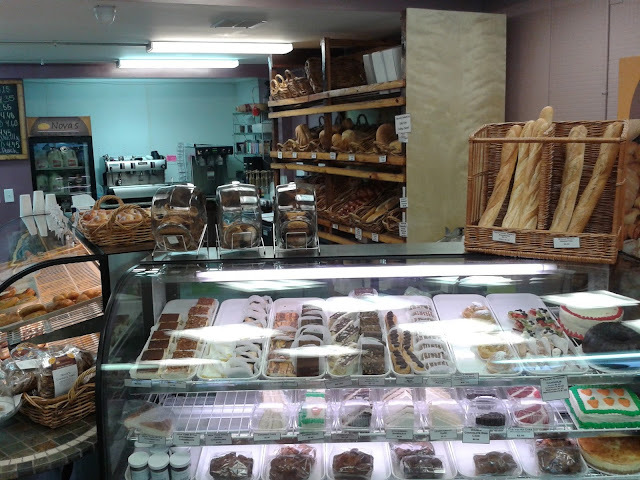 When we were scheduling the meeting, I suggested we have it at Nova's Bakery in South End. I hadn't been there before, so I figured now would be a good time to check it out. 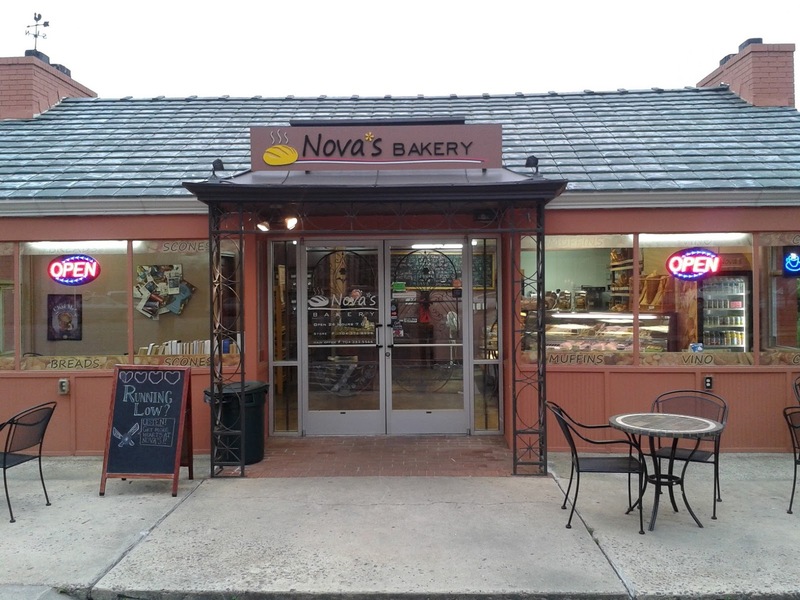 There are actually two Nova's Bakery locations. This one opened last fall at 1515 South Boulevard (in the former Laurel Market space), and the main one is located in Plaza Midwood--they also set up shop on Saturdays at the Charlotte Regional Farmers Market. 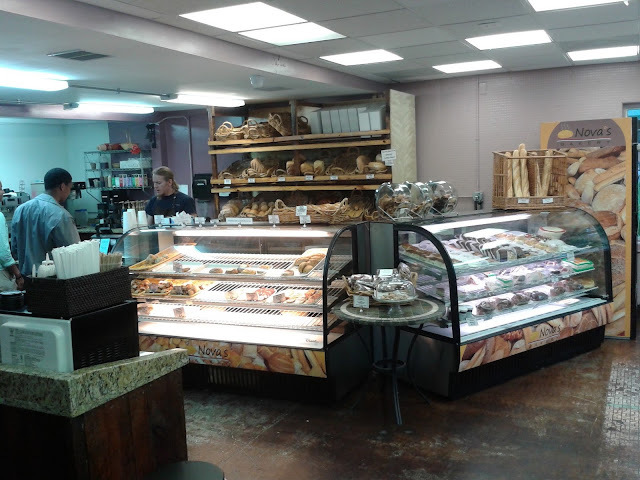 All told, Nova's has been making fresh European breads and pastries in Charlotte since 1996, and eventually began serving coffee. We all hold meetings from time to time at coffee shops/bakeries, but rather than go to the big chains like Starbucks and Panera all the time, I try to support the mom-and-pops. And the great thing about the South End location of Nova's is that it's opened 24 hours a day (Nova's joins Amelie's French Bakery in NoDa as, I believe, the only two 24-hour coffee/bakery spots in the Center City and surrounding areas). 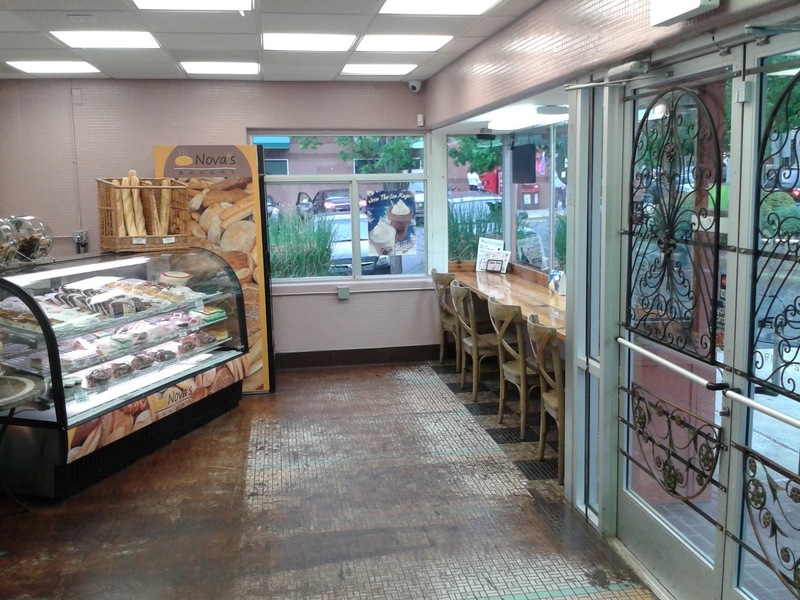 I enjoyed a large cup of Brazilian roast coffee and two croissants--one almond-filled and the other chocolate. The croissants were fresh and tasty, but I wish there was more filling. As for the building, it's a quaint space, with free WiFi, seating inside for eight to 10 people, and seating outside for 10 to 12. Visit www.novasbakery.com for more details.